PowerSun® H.I.D. Combo | Zoo Med Laboratories, Inc. 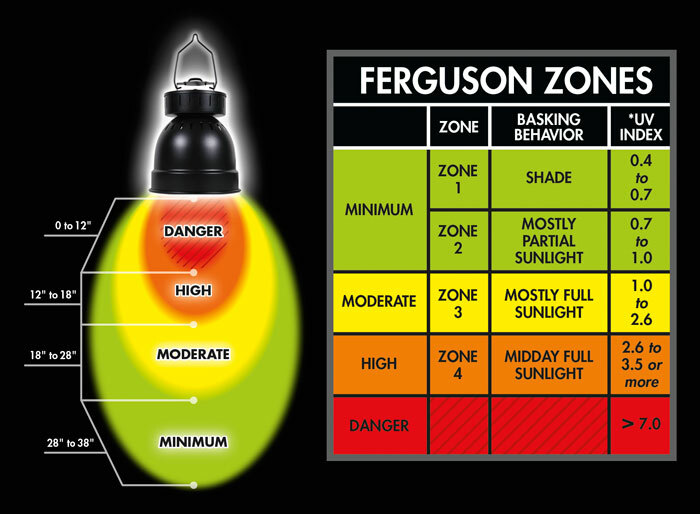 The PowerSun® High Intensity Discharge (H.I.D.) 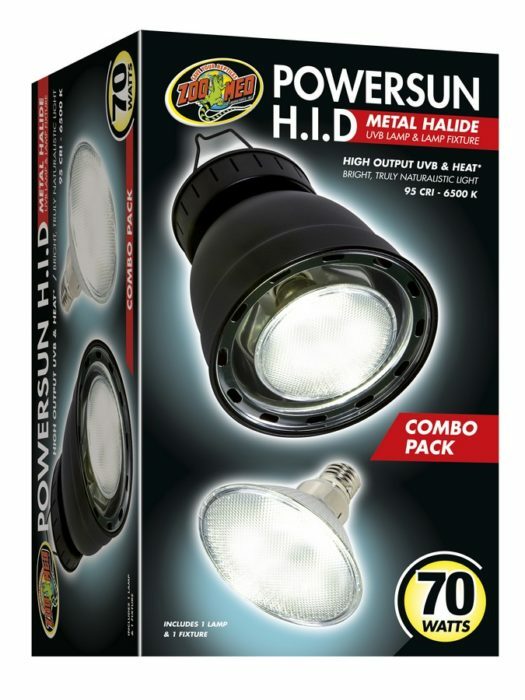 Combo includes the PowerSun® H.I.D. Metal Halide UVB Lamp and Lamp Fixture. High output UVB lamp for larger habitats. Truly Sun-like bright naturalistic light for terrariums. 6500K color temperature and 95 CRI for amazing color combined with UVB, UVA, and Heat from one lamp! Proprietary Zoo Med Lamp construction creates a true flood-lamp effect, eliminating dangerous UV “hot-spots” common to other metal halide reptile lamps. Double wall construction for safety. Interested in Zoo Med’s High Intensity Discharge Metal Halide Lamps? Watch this video to learn more.